Farewell, and thank you for 31 years of support for our Growth and Transition Workshops, sponsored by Tucson Medical Center. Your profound trust and care – whether you came, referred, or suggested someone attend – has truly transformed our lives. I’m writing a longer letter to you all this time with the hope that you, too, will reflect on the synchronicities that occurred at your workshop, and continue to abound in your life. We do not have many email addresses from the last 31 years, so we would both like to ask that you consider sharing this with those whom we may not be able to reach – your therapists, your friends, and your clients who have attended. Over the years, as you each found the courage to share your emotions and your stories, Larry and I have learned a great deal – about our strengths and our weaknesses, and about the power of deep sharing within a community of non-judgmental witnesses. The acceptance of your fellow participants’ stories, and of the staff’s, has been palpable. With that acceptance, many have been able to transcend their unique pain and dip into a collective healing grace -the magic of the divine. 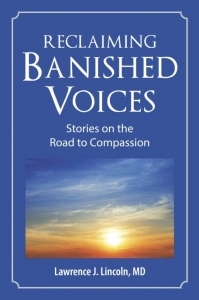 At the workshops, we named this magic “repair.” What we witnessed on the mat – the compassionate attunement to the truth that our inner voices proclaimed (both the wounded adult’s and the children’s) was, for many of you, just a beginning. It was an honor to help facilitate steps toward your personal bridges – the bridges between loving self-understanding and empathy for other, the bridges from unconscious pain to consciously caring relationships. Reconciling the differences between what our perpetrators consciously intended versus our emotional reality of what happened was also the journey. It often required us to hold the tension of the opposites, as Jung would say- to find a way to span the differences between the masculine and the feminine, and to embrace a new internal mother and father, in order to stand steady with accountability and compassion. We talked about the integration of the rational intellect of the “left brain’ with the “right brain’s” emotional response. In short, we learned to hold the light and the dark of our complicated feelings toward others. Some participants had the added burden of embracing their lost loved ones, saying good-bye in death, while honoring their many hellos in life. This bridge between many opposites was supported by all the “natural emotions”, but particularly by the “two parts of love” – the unconditional love that we all want and the love that sets limits. Ultimately, it was your trust in our “love”- and by this I mean care, acceptance, joy, and playfulness – that helped each of us grow. A special thank you to our Tucson G&T staff: You allowed us to take the lead, content to follow and serve, while still being courageous enough to speak your truth about your needs and insights. Privately, you shared your own thoughts about the paths you might have taken and ideas for steps forward for each participant. We learned a great deal from all of you! As a personal post script, I want to share my story of our celebration after the last Growth and Transition Workshop in late October. With the fresh eyes of one of our earliest staff members and her husband, venturing all the way from New Zealand, the four of us travelled on a physical tour, while I ventured on an inner journey– from Tucson to San Francisco, to Sedona, the Grand Canyon, and Montezuma’s Well. I chose to think about this trip symbolically as a journey over my 31 years with all of you. The healing metaphors have helped me deepen my grief work around this ending of an era, hopefully strengthening my resolve to plow forward. In San Francisco, as I walked up and down the rolling hills of this beautiful city, I remembered the ups and downs of pre-workshop details, and of staying “on task”, yet remaining organic, with our stories and our teaching. I walked the labyrinth at Grace Cathedral, bringing in the burdens of 31 years and taking out the joys of service. In Sedona, as we hiked the neon blue-green forests nestled in ancient red rocks, I found myself musing on the synchronicity in the stories you gifted one another, the magic of the group process. Hiking into the majesty of Arizona’s Grand Canyon for 4½ miles down, I re-lived my own mat work over the years since my first Elisabeth Kubler-Ross workshop in 1984. Into the depths of the canyon, I reviewed my externalization of angry protests and tear-filled memories, as I moved slowly through intense pain, sadness and disbelief. I let go of yet another layer of confusion, and embraced the deep breathing of forgiveness. Finally, I struggled back up the trail of life and into a fuller realization of the ”collateral beauty” of my losses. With the healing grace I received over those early years, I gained a wise and loving little one who often assisted me in helping others, and a stronger adult self who could better parent Matt and Rachael. This little one even helped me write a children’s book! With our last stop at Montezuma’s Well, I marveled at the carefully labeled healing plants of the desert. As we opened our hearts to their teachings, our children and grandchildren have been the balm to our souls. Dipping into the deep pool of the unconscious, so clearly represented by the well of life near Rimrock, AZ, I ladled a new measure of patience (“All in good time”) for a future that is unknown, as I now enter the 7th decade of my life. What an incredible journey! Larry began his review of the workshop process three years ago. With reference to a variety of workshops he’s led and assisted over the last 33 years, Larry winds the teachings you experienced around a compilation of the stories we all shared. The real message, of course, is how inner dialogues helped Larry journey back to himself. * Our next journey includes trainings and workshop consultations. Read about our new 2019 Professional Training Program. Once again, we send our profound appreciation for YOU.